Thursday, Nov. 29, 5:30 p.m. Check out the 2018 Christmas Village & Tree Lighting in Downtown Clayton. Every year, more than 5,000 people head to Main Street on the first Thursday after Thanksgiving for this festive event. Enjoy music, holiday cheer, a business open house and, of course, the traditional tree lighting at Town Square. It will be fun for the whole family as you experience the Christmas season at Christmas on Main. Come out to the Tobacco Farm Life Museum on Friday, Nov. 30, from 5-8 p.m. for a candlelight tour of the museum and visit with Santa in his Workshop. There will be holiday music, apple cider, food and holiday shopping. The next morning, enjoy the sights and sounds of the season as you stroll along Main Street, from 9 a.m. to 2 p.m., stopping by Santa&apos;s workshop for cookies and cocoa while getting a photo. Check out PJs and Pancakes with Santa, Santa&apos;s Workshop visits and photos, holiday shopping vendors, holiday bake-off competition, live entertainment, live nativity, cookie decorating, ornament making and so much more. For more information, call Janie Holland at 252-205-0686 or email janiemh@embarqmail.com. Dec. 1 and 8, 7 p.m. and Dec. 2 and 9, 3:30 p.m.
Don&apos;t miss the movie class adapted for the stage and presented by the Benson Foundation for the Arts. Tickets are $12 and are available online at thebensonarts.com. Saturday, Dec. 1, 8 a.m.
Come out for the third-annual West Johnston Whobilation, sponsored by West Johnston FFA and FFA Alumni Club. This event is sure to be magical from the arrival of The Grinch and Santa. We will have food, vendors and so much more. Homemade goodies will be for sale, and several items will be up for silent auction. A licensed massage therapist will be on hand for chair massages, and breakfast and lunch items will be available. Saturday, Dec. 1, 8:30 a.m.
Don&apos;t miss the 2018 Annual Friends of Tired Iron Classics Breakfast. Breakfast will be served from 8:30-10:30 a.m. at our their new shop location, 102 S. Main Street in Four Oaks. Please bring non-perishable food items to help us fill the truck in support of the Four Oaks Elementary holiday food drive. Saturday, Dec. 1, 9 a.m.
Come join the fun for the third-annual Decemburrrr Dash at West Johnston High School. To learn more or sign up, visit runsignup.com/Race/NC/Benson/Decemburrrrdash. Get all your holiday shopping done in one place. Unique hand made items. Commercial items. There will also be food, raffles, Santa and his Elves. Proceeds benefit Cleveland Arts Performance Ensemble. Free to the public. For more information, email bazaar@clevelandhigh.band. Don&apos;t be a bad banana with a greasy black peel. Come out and give until your heart is three sizes too big at the sixth-annual Grinch Stink Stank Stunk 5K Toy Run and Jingle Bell Jog. All participants are asked to bring a new unwrapped toy or gift card. All toys will benefit Harbor and the Johnston County DSS Angel Tree Project. There will also be prizes awarded for some of your favorite Whoville characters so dress up and have fun. Registration forms are available at the SRAC or online at sraconline.com. Saturday, Dec. 1, 10 a.m.
Saturday, Dec. 1, 11 a.m. The Four Oaks Christmas Parade is set for 11 a.m., and stick around in Downtown Four Oaks to kick off your holiday shopping, take part in children&apos;s activities and make a visit with Santa Claus. Some of the best local artists in the area will be on hand for a fun-filled day. Try some of Hinnant&apos;s unique, delicious wines, listen to some great music by Proton Jones and get that holiday shopping taken care of. Saturday, Dec. 1, 1 p.m. 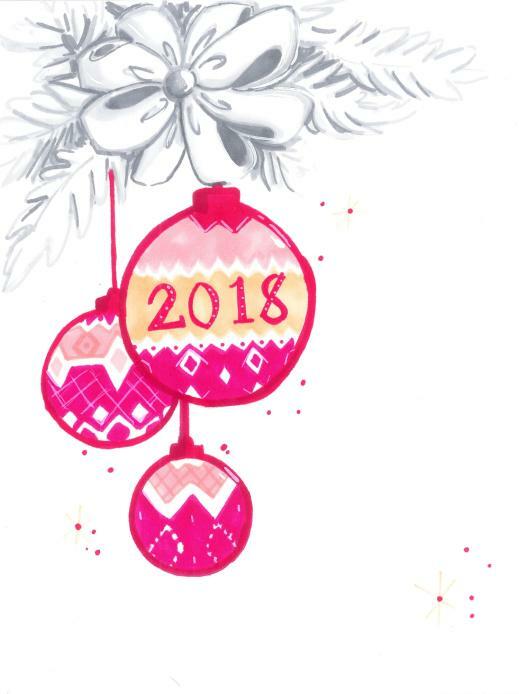 The Princeton Women&apos;s Improvement Club is hosting the 2018 Christmas Parade on Dec. 1. For information on parade participation, call the Princeton Town Hall at 919-936-8171. Saturday, Dec. 1, 3-6 p.m.
Bring your kids and their letters to Santa. He is making an appearance at Boulevard. $10 gets your child access to a hot chocolate bar where they get to decorate their own drink with candy canes, marshmallows and much more. It also includes a sugar cookie and access to Santa. Mulled wine and other adult beverages will be available. Bring your camera and take as many pics as you like. Come enjoy this old-fashioned Christmas show, made the way they used to be. With all your favorite songs of the season, plus comedy, carols and a sing-along. Featuring the Around Town Singers and 25-piece orchestra, plus special guests that you won&apos;t want to miss. See the show blog at www.AClaytonChristmas.com for more information. Tickets are $18 (plus taxes and fees) and can be ordered from The Clayton Center Box office at www.TheClaytonCenter.com or by calling 919-553-1737. The Archer Lodge Christmas Parade will be on Sunday, December 2, starting at 3 p.m. After the parade, there will be pictures with Santa, crafts and refreshments. There will also be a children&apos;s workshop and snow sledding. The town Christmas Tree lighting will be held at 7 p.m. For more information, call Archer Lodge Community Center at 919-550-1738. Clayton Visual Arts presents Christmas in Clayton Art and Home Tour Downtown.Tickets are $10, which includes eight homes decorated for Christmas with artists in each home showing their art work or crafts. Also, there will be artists in the Woman&apos;s Club of Clayton and the Clayton School of Creative Arts. You can purchase tickets online at claytonvisualarts.org/Christmas-in-Clayton/ or from the Clayton Woman&apos;s Club in downtown on the day of the tour. Contact knobles@centurylink.net for additional information. All proceeds go to fund the Dorothy Demboski Art Teachers Assistance Grants. The Clayton Rugby Football Club is hosting a raffle drawing at Deep River Brewing Company. The grand prize is a seven-day rugby tour to Scotland with the Clayton RFC in September 2019. The tour includes flights, hotels, transportation, rugby and non-rugby excursions, some meals and a full Clayton RFC tour kit. Other prizes available include gift baskets, gift cards from local businesses, signed rugby merchandise, Clayton Rugby apparel and more. Proceeds from the raffle go to the Johnston County Rugby Park Project. Tickets are $10 each or three for $25. For more information, email claytonrfc@gmail.com. Sunday, Dec. 2, 4 p.m. The Wilson&apos;s Mills Christmas Parade and Christmas Tree Lighting is held the first Sunday in each December. Santa will be on hand taking "wish lists" from kids of all ages, and he will be available for photos as well. There will be Christmas caroling, food, games and the lighting of the tree at dusk. Sunday, Dec 2, 5 p.m.
Unpack the true meaning of Christmas with us this year and explore the lives of the nativity participants: a Bethlehem resident, Joseph, Mary, a Shepherd and Wise men. Even their camels will be there to ride. Walk through the story of Christmas with camel rides, a live Nativity, and Nativity displays. There will hot chocolate, cider, Christmas cookies and a Christmas keepsake for all. Event is for all ages and is free. For any questions, contact the church office at info@mountzion-umc.org or 919-772-8415. Here&apos;s the perfect way to begin the holiday season and create a fun family and friends tradition. 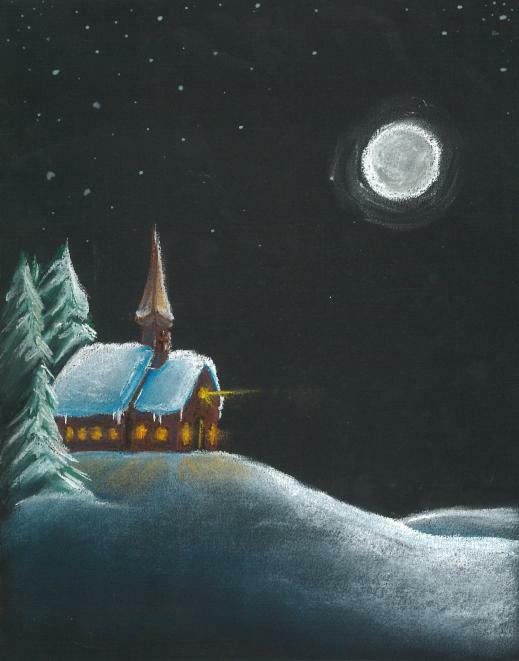 Watch as Selma presents the Christmas parade, lighting up the night sky with twinkling lights. There will be live entertainment preforming on the stage in front of Town Hall on Raiford Street in Uptown Selma.before the ever-popular Christmas Parade begins. The parade will begin at Selma Elementary School and make its way through town and continue the entire length of Raiford Street and then turn up Railroad Street and end once again at Selma Elementary. The town will be lit up and the spirit will shine through all the lights and music and fanfare for the most anticipated visit from Santa at the end. The tree lighting and fireworks display will follow. Please call Selma Parks and Recreation at 919-975-1411 for complete information. Check out the second-annual Christmas in Cleveland event. There will be a Christmas parade and community tree lighting. Santa Claus will be there to ride in the parade and visit with the kids after. The parade will begin behind the fire department and travel onto Cleveland Road and back behind the fire department. For more, visit greaterclevelandchamber.com/christmas-in-cleveland.html. Join the Partnership for Children of Johnston County for Story Time with Santa. Listen to a story read by Santa Claus himself and enjoy free family activities and selfies with the man in red. For more information, contact Christina Peterson at cpeterson@pfcjc.org or 919-975-2523. Thursday, Dec. 6, 7 p.m.
Thursday, Dec. 6, 5 p.m.
Don&apos;t miss Kenly&apos;s annual Christmas parade, held on the first Thursday of each December. Friday, Dec. 7, 2-4 p.m. The Express Clydesdales of Express Employment Professionals will be on hand for an open house event at the Express Employment Professionals of Johnston County office in Clayton on Dec. 7. The Express Clydesdales are a rare hitch of black and white Clydesdales that serve as Express Goodwill Ambassadors. The team travels across North America to help to raise funds for Children’s Miracle Network Hospitals and other charitable organizations. Weather permitting, there will be photo-ops with the Clydesdales and team. Organizers are asking for voluntary donations of canned food items for the Clayton Area Ministries or monetary donations to the Children’s Miracle Network Hospitals. Friday, Dec. 7, 6 p.m.
Visit Downtown Benson for the Christmas version of its monthly First Friday event. In the square, there will be entertainment starting at 6 p.m., and the the annual Christmas parade is set for 6:45 p.m. After the parade, there will be entertainment by Alicia&apos;s School of Dance and RenDance Academy at the intersection of Market and Main. Santa will visit with children on Main Street in front of Jenny&apos;s Sweet Creations and there will be an antique tractor and car show. The stores on Main Street will be open serving hot beverages and treats and local civic clubs will be handing out free items. For more information, call 919-894-3825. The Fabulous Equinox Orchestra swings back through Clayton with a holiday show guaranteed to brighten the season. Enjoy holiday classics and your favorite American standards, presented with the charm and extraordinary jazz musicianship of Jeremy Davis, Clay Johnson and the Equinox Orchestra. For tickets, visit theclaytoncenter.com. Saturday, Dec. 8, 7 a.m.
Join the SCMS Band and enjoy a pancake breakfast with Santa while listening to individual and small group performances from band students. Photos with Santa will also be available. Saturday, Dec. 8, 8 a.m. The Corinth Holders FFA is hosting Breakfast with Santa. Cost is $10, and the event features games, Christmas carols, visits with Santa and a breakfast of pancakes, sausage, juice, milk and hot chocolate. Saturday, Dec. 8, 10 a.m.
Join the Howell Theatre and the Partnership for Children Johnston County as they present a sensory friendly showing of the holiday classic, “The Polar Express.” The lights will be up and the sound will be lower to accommodate children with sensory issues. Admission is free. Cleveland Elementary is excited to host once again its Santa&apos;s Workshop. There will be an Elf&apos;s Corner for the kids to shop and make gifts for their loved ones. There will also be vendors with lots of holiday shopping available. Visit with Santa or check out Mrs. Claus&apos; Cookies, where kids can decorate their own cookie. Saturday, Dec. 8, 9 a.m. The Never Forget 9-11 Foundation will be hosting this event and proceeds will go to the 2019 NC 2 NYC Campaign and K9 Campaign. For more details, email dgoldman@neverforget911foundation.org. The Public Library of Johnston County and Smithfield presents its 7th Annual Gingerbread House Festival. Entries will be accepted during business hours from Dec. 3-6. Awards for winners will be presented after Cookie Corner on Saturday, Dec. 8. Decorate cookies and visit Santa in the library. Entries will be on display in the library until Friday, Dec. 14. Categories include family, for parents with children up to age 5, junior for ages 6–8, youth for ages 9–12, teen for ages 13–17 and adult for ages 18 and up. For more information, call Katie Barbour at 919-934-8146, option 3. Saturday, Dec. 8, 11 a.m.
Gear up for the festivities in Micro with a hot dog and some face time with Father Christmas. For more information, visit www.hinnantoutreach.org. Saturday, Dec. 8, 3 p.m. The Clayton Christmas Parade is scheduled for Saturday, Dec. 8 at 3 p.m. Sponsored and organized by the Clayton Rotary, the event features more than 100 colorful floats, booming marching bands and of course, Santa Claus! For more information, call the Clayton Chamber of Commerce at 919-553-6352. Pine Level&apos;s annual Christmas parade is scheduled for Sunday, Dec. 9, at 3 p.m. For more information, call Town Hall at 919-965-2284. Tuesday, Dec. 11, 10 a.m. 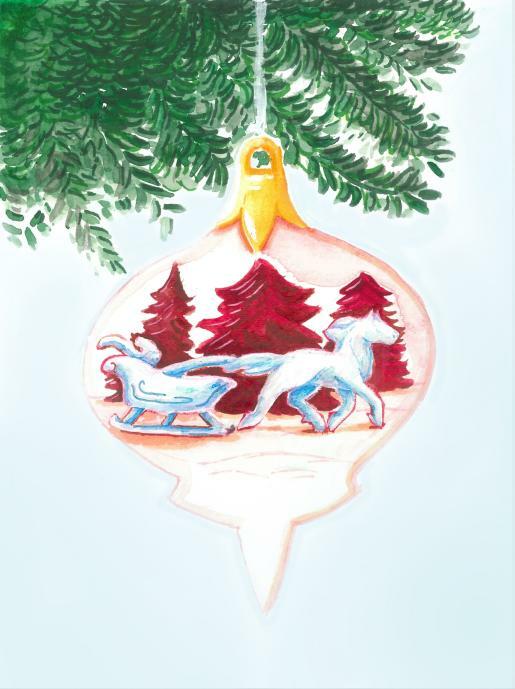 Kids ages 2-5 can run around, dance to Christmas music and make a reindeer ornament. Please register by December 7 at the SRAC front desk. Cost is $5 per child. Tuesday, Dec. 11, 5 p.m. Wear your wacky-ist, holiday-ist, funny-ist gear while you check out the second-annual Ugly Christmas Sweater Party at Deep River Brewing with proceeds benefitting The Miracle League. For more information, contact Rob Youncofski at RobYo@AdvantageLending.com or 919-322-8201. Wednesday, Dec. 12, 10:30 a.m.
Santa will be on hand for story time. There will also be time to hear Christmas wishes and receive a small gift from Santa. Please bring your own camera. This is a free event. In addition, they have set aside time starting at 11:30 for children that deal with overstimulation disorders and need a smaller group or one-on-one time during their visit with Santa. Time slots are limited for these visits. For more information, email librarian@fouroakslibrary.org or call 919-963-6013. The Smithfield Christmas parade is set for Thursday, Dec. 13. For more information, call 919-934-2148. Thursday, Dec. 13, 7:30 p.m.
Josh Wright, a Billboard No. 1 artist, is one of the most versatile classical artists of his generation as a pianist, recording artist, arranger and teacher. He founded Josh Wright Piano TV on YouTube with nearly 60,000 subscribers worldwide who benefit from his insightful teaching videos and musical performances. Josh joins his wife, Dr. Lindsey Wright, the award-winning pianist and teacher who helped to create their Christmas album, Sleigh Ride for Two. The couple will delight audiences with Holiday favorites from both the classical and popular repertoire, including their own arrangements of Christmas carols, music from popular American movies and TV, in addition to timeless masterworks from the classical repertoire. Tickets are $15 for adults, $10 for seniors and $5 for children. For more information, visit claytonpianofestival.org/holidaygala2018. Saturday, Dec. 15, 9 a.m.
All aboard! Check out an unforgettable seasonal journey on the Selma Santa Train. Young and old will be whisked off to enjoy the round-trip ride with Santa on board. Does Santa really like juice and cookies? You&apos;&apos;l find out as they are served while on the train. Families are encouraged to wear their pajamas and be ready to join in on the caroling and sing-along while on board. Fees: Adults 13 and older are $55.00; children 1-12 are $45.00 and infants up to a year old are free in a lap. The Train departs Union Station at 10 a.m. and will return at 11:45 a.m. Call Selma Parks and Recreation for complete information at 919-975-1411. Harbor will be hosting its Breakfast with Santa event on Dec. 15 at Rainbow Lanes in Clayton. There will be two time slot options — 9-10:30 a.m. and 11 a.m. to 12:30 p.m. Tickets are $5 for children 2 and under, $10 for children under 10 and $12 for ages 11 and up. Breakfast will include pancakes, sausage, milk and orange juice. Email info@harborshelter.org for more information. Join the Howell Theatre as it presents a free showing of the holiday classic, “The Polar Express.” Santa will also be on hand from 9-11 a.m.
Did you know that over 80 percent of the children in local public schools in the Smithfield, Selma and Wilson&apos;s Mills school district are on free or reduced lunch? Did you know that a significant percentage of these students struggle from day to day to know where their next meal will come from? LifeSpring Church is committed to partnering with our community to end childhood hunger in our communities. In a partnership with Smithfield-Selma area schools, businesses and community organizations, they will package 20,000 meals on Dec. 15 to be distributed to children at each school that are in need just before their Christmas break. Join in the fight against childhood hunger in our community. Visit SSStrongFeeds.org to sign up to volunteer. You can sign up as an individual, family, or a team from your workplace or community group. Donations are also accepted. Saturday, Dec. 15, 2 p.m. and 7 p.m.
Johnston County Chorus and Orchestra present: "A Christmas Spectacular"
Johnston County Chorus and Orchestra present “A Christmas Spectacular,” set for Dec. 15 at 2 and 7 p.m. at The Clayton Center. Artistry in Motion Dance Studio will be a special guest. Tickets are available online at theclaytoncenter.com or The Clayton Center box office at 919-553-3152. Tickets are $16, and there are discounts for children and group tickets are also available. Saturday, Dec. 15, 3 p.m.
Sunday, Dec. 16, 1 p.m.
Santa will be in the house. Well, actually, the pool. Bring your kids to swim in the splash park or pool and meet with Santa. Mr. Claus will visit from 2-4 p.m. Regular day passes will be offered at half-price for this event. See the story of Christ presented in ten scenes. Enjoy the animals and lantern-lit drive as you and your family experience the real meaning of Christmas. There is no charge or admission fee, and they invite you to drive through as many times as you would like. For more information, call 919-894-3212, email info@drivethrunativity.org or visit drivethrunativity.org. Wednesday, Dec. 19, 7 p.m.
Don&apos;t miss “The Classics,” playing at Stanfield&apos;s General Store. There will also be food samples and a chance to wrap up your holiday shopping. Call 919-963-9607 for more details. Monday, Dec. 24, 1-3 p.m.
Come out for coffee, cake and light finger foods. There will also be video games on the "big screen" as well as our usual goodies. This is a free event. For more information, email librarian@fouroakslibrary.org or call 919-963-6013. Monday, Dec 31, 8 p.m.
Ring in the New Year with Jim Quick & Coastline on The Farm at 42. Tickets are $40 each and are available at bit.ly/2D64Y9w. The venue is reserving a limited number of tables for $100 per table. These tables seat up to eight people and do not include admission into the event. For more details, visit thefarmnc.com. As we ring in the new year, they will be sharing the good news of the gospel of Jesus Christ in song, testimony and His holy word. Come join The Crusaders of NC, Palmetto Street Praise, Richard Duryea, and the Benson COG family as they celebrate and anticipate the return of our Blessed Hope, Jesus Christ. Monday, Dec. 31, 10 p.m.
Come and rock out with Thunderstruck, the Ultimate ACDC tribute band. There&apos;s a $10 cover, door prizes and a surprise opening band as well. Take a nostalgic trip back to an innocent age when anticipation of Santa&apos;s visit made the holidays magical. Enjoy gospel favorites and the contemporary beat of hits like "Christmas in Dixie." Show runs all month long. For dates, times and ticket information, visit rudytheatre.com. Celebrate the holiday with an old-fashioned hayride at Lights on the Neuse this season. The hayride whisks you and your loved ones away to a transformed world of Christmas spirit. It&apos;s open every Friday, Saturday and Sunday night through Christmas Eve, and other select nights as well. 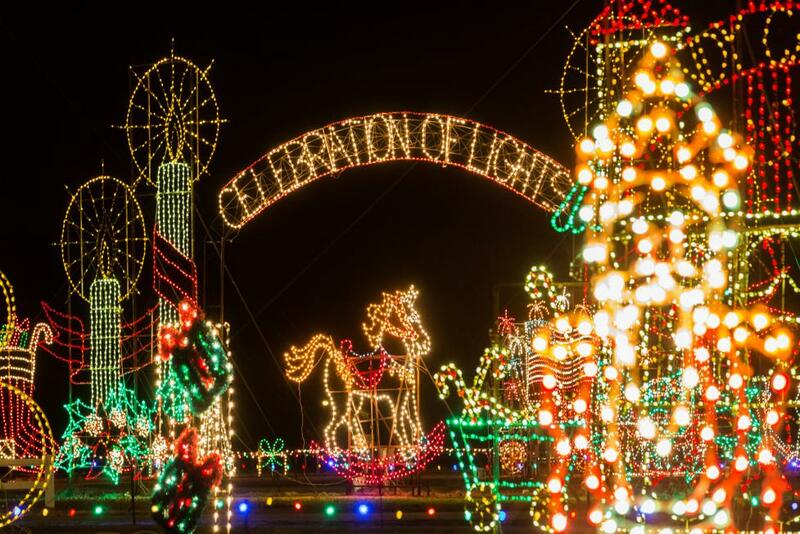 For the complete schedule, visit lightsontheneuse.com/schedule. Featured in last year&apos;s Christmas guide, this imaginative display features a “mega tree,” singing Santa Claus, hundreds of lights and even broadcasts music over your car stereo in sync with the show. Begin thinking about your family&apos;s Christmas pictures. Lazy O Farm is booking appointments for Santa&apos;s Den through Dec. 8 at Lazy O Farm. The cost is $20, cash, for 30 minutes. Days and nights available. Bring your own phone or camera, take your own pictures. Call to reserve your spot at 919-934-1132.